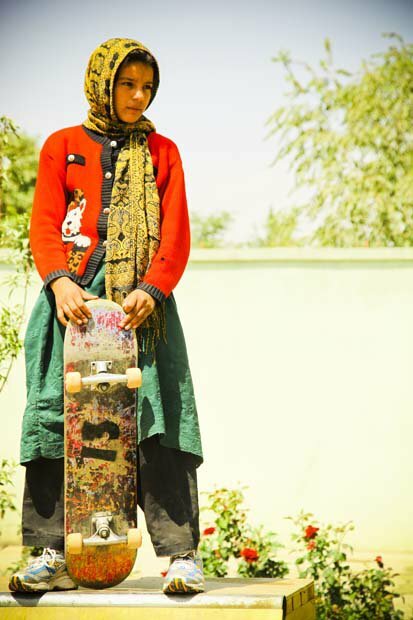 I heard about a project going on in Afghanistan that was about bringing skateboarding to children who had nothing to do and not much hope for their future. I read articles about it and secretly planned my own version of doing this in Nepal. The work in Afghanistan was entitled "Skateistan" please please please look at the pictures on the website, http://skateistan.org/ and read through to learn a little about this great work. The last trip to Nepal my friend and photographer Nate Abate and I (both dedicated skateboarders) were constantly passing the time by dreaming about the possibility of bringing skateboarding to Nepal. One day, we were walking through the Thamel district which is the tourist area of Kathmandu, and we saw a Western looking kid riding a skateboard through the crowded streets! We were so shocked we just pointed and sputtered as the guy went rolling by with a funny look at us. A few evenings later we were again walking through Thamel and two Western kids with a definite "skateboarder" style were handing out fliers. We stopped and to our shock and surprise they were advertising a Skate Shop that they had opened recently in Thamel. They are from Switzerland and the shop is called Arniko. They employ local Nepali wood workers to carve amazing custom skateboards. We talked to them for hours and went back to the shop again and again to hang out, watch skate videos, and pick through their awesome selection of artsy t-shirts. Oh how I dreamed of creating a skatepark in Kathmandu ("Skatemandu") !!!! and introducing my favorite activity into my favorite culture. Just thought I'd share these thoughts and story on this lovely day of love. I thought I would post up a link to an audio clip of Jan being interviewed back in November before our last fund raiser. This is for anyone who missed out on hearing it when it first aired. She did a great job of explaining our work and describing the environment and conditions of Nepal. Enjoy!